I'll write and submit a guest post on the Uberant website – Uberant.com. 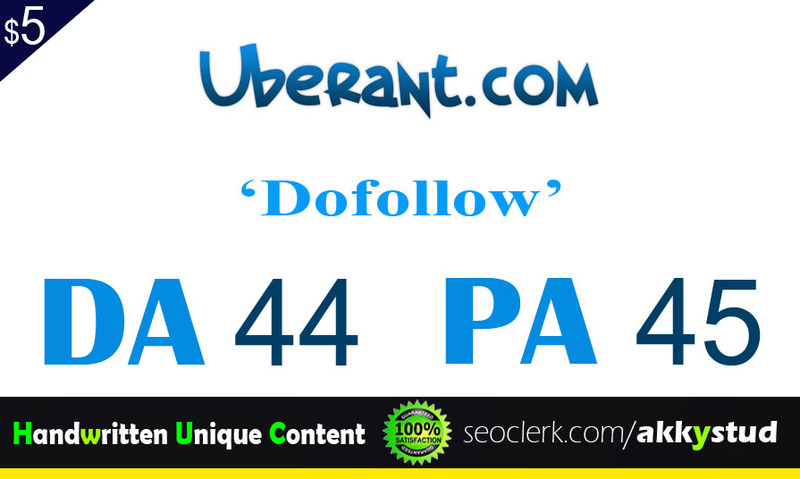 This will be a blog on the " Uberant" website with a Domain Authority of 45 where your link will be live with be Do-Follow and Google Indexed. This Service is for limited period. It'll increase your SERP value in Google Search. 2. The turnaround time is 5 days. write and publish UNIQUE guest post on "Uberant" DA-44 is ranked 5 out of 5. Based on 2 user reviews.